In David Mitchell’s Cloud Atlas, Robert Frobisher visits the alleged resting place of his older brother. Thirteen years after the end of WWI, the land remained pocked marked by destruction. In a novel of six stories from six different time periods, told in six different genres in ascending and then descending order, WWI occupies the story as a momentary backdrop, serving more as a mechanism for deepening readers’ understanding of Robert Frobisher. Yet, acting as a conduit, Frobisher provides a window into the experience of soldiers as filtered through the eyes of a civilian sibling. Ninety-nine years ago this July, the Battle of the Somme began and with it, one of the bloodiest carnages of a carnage-filled war. In America, WWI often receives short shrift, a bitter but successful foray into international conflict that left Americans dubious of European interests and isolationist, at least in terms of the world across the Atlantic. After all, American imperial adventures in the Pacific and Latin America give lie to the premise that the nation’s foreign policy stood as entirely isolationist. By the end of the war, over eight million combatants would perish. “In the summer of 1914, the rulers of Europe, after a century of huge economic progress and a decade of rising tensions, marched their peoples, the boss-eyed leading the blind, to the brink of collective suicide,” wrote the Economist in their 1999 Christmas/Millennium issue. While the blame for the war’s outbreak remains in debate, in the aftermath of the war and the Somme, many observers blamed feckless, arrogant, and ignorant commanders for the bloodbath that had ensued, regardless of who might have been seen as responsible for starting it all. 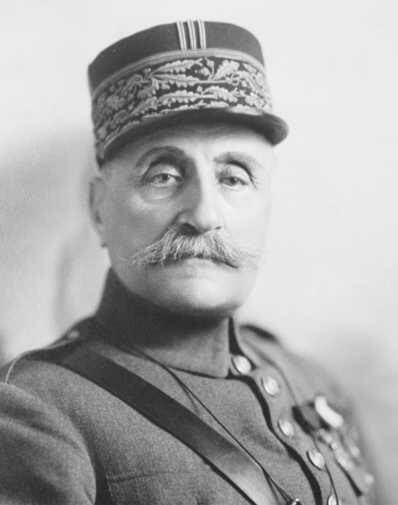 Before WWI, “all the leading commanders of the war, were seen as great men, the imperturbable [Joseph] Joffre, the fiery [Ferdinand] Foch, the titanic [Paul von] Hidenburg, the Olympian [Douglas] Haig,” reflected Keegan. “Between the wars their reputations crumbled, largely at the hands of memoirists and novelists – Sassoon, Remarque, Barbusse – whose depiction of the realities of ‘war from below’ relentlessly undermined the standing of those who had dominated from above.” British historians and others proved no more forgiving, portraying the war’s military leaders as “’donkeys leading lions’, as flint hearts bleeding the tender fish of a generation to death in Flanders fields or as psychological misfits.” French commander Joffre took daily two-hour lunches and Germany’s Hindenburg made sure to get 10 hours of sleep a night while their soldiers died in the muck. The reality had less to do with arrogant generals and more to do with the rapid technological change that had unfolded in the early decades of the twentieth century. As Stephen Kern points out, the collapse of space, the imposition of time, the destruction of form, and the rapidly increasing importance of the present due to technological advance drove intellectual thought, art, literature and even war. When one considers that 34 British generals died in battle during World War I as compared to only 21 in World War II, one could argue that commanders might have been arrogant and feckless, but that these factors mattered less than the fact of technological change. Several hundred generals died in the American Civil War, but the difference between the nineteenth century conflict and it’s twentieth century successor hinged much more on the fact that modes of communication and their immediacy, or lack thereof, failed to match the weaponry of war. 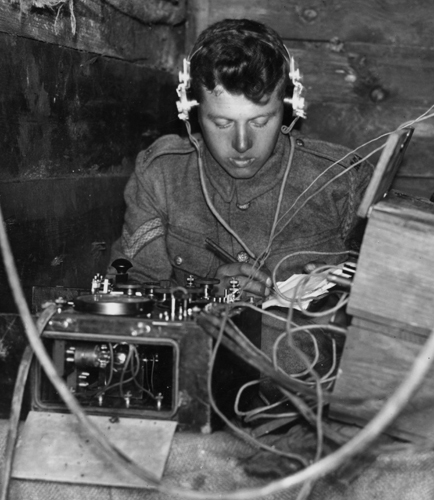 Transportation and communication advances enabled war to be conducted from great distances. Command centers, theatre of operations, and troops grew further and further apart from one another. This physical distance created social distance as it “created an experiential and emotional gap between generals and the men at the front that enabled commanders to continue to spin table top plans for offensives and be shielded from direct contact with disastrous consequences,” notes Kern. If in earlier wars, generals drew close to the battle to gain courage, they now distanced themselves in order to preserve that very same courage. Many believed that if they had seen the actual slaughter at hand they would not be able to order their troops to attack at all. Bombings as well altered the nature of conflict, increasing war’s territorial reach but also blurring the line between “soldier and civilian, front and home, safety and danger.” Though airplanes never dominated WWI like they would WWII, they nevertheless unsettled civilian security by creating a “new vulnerability among those at home who had formerly felt safe.” With such developments, it made more sense to be further from battle so as to better gather intelligence, delegate authority, and give out orders. This also meant changes in fighting, which I will only touch on briefly here. Earlier conflicts in the late nineteenth century had hinted at the kind of weaponry and troops that would prove most valuable in WWI. Artillery, particularly more mobile artillery became one of, if not the most important aspect of warfare. “By 1918, it was artillery that took ground, infantry that held it; and ground derived its importance very largely from the facilities it provided for artillery observation, ” writes Howard. While cavalries had been of critical importance in wars of the nineteenth century, the new tools of conflict made them more useful in ancillary roles such as scouting. In the vast expanses of Eastern Europe, it still retained some importance during WWI, but in Western Europe, cavalries quickly proved a remnant of past warfare. Even as reconnaissance, cavalries gave way to motorcycles and armored cars during the war. One might accept Howard’s argument but add a very significant caveat. 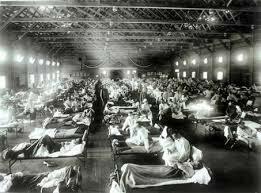 The Spanish influenza that spread during the war killed far more than the conflict itself. 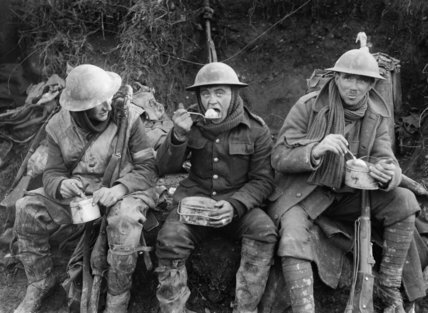 WWI, no matter how much medicine had advanced, helped spread the illness in numerous ways. Malnourished and tired German troops contracted the flu easily. Hundreds of thousands of Americans packed tightly into ships to cross the Atlantic, arrived in upwards of 250,000 per month in 1918, infecting one another and carrying the illness further to and through Europe. Wartime priorities distracted from a concerted effort to stamp out the illness. In the end, between 20-40 million worldwide died of the pandemic, and the war greatly facilitated its deadliness. Of course, none of this is to downplay the incredible loss of life that occurred or the tragic ends that had befallen millions of soldiers. The concept of “shell shock,” perhaps diagnosed today as PTSD, was certainly real for many of those who survived the war. Though it could lead to anxiety and neurosis after the war, during battle constant artillery bombing could act as sedative. “Nobody could stand more than three hours sustained shelling, before they started feeling sleepy and numb,” Private T. Jacobs of the 1st West Yorkshire Regiment told listeners. “You’re hammered after three hours and you’re there for the picking … It’s a bit like being under an anesthetic; you can’t put up a lot of resistance.” Others who survived the war due to medical advances had to live with terrible physical disabilities and deformities. Some reported problems with impotency after having fought in a war in which soldiers had so little control. As heart wrenching as the fictional Frobisher’s observations might be, in the sprawling Eastern Front no such remembrances were even constructed. The Ottomans did not even tally their losses, leaving historians only to estimate. The dead returned to the Earth and no one, besides the loved ones they left behind, knew better. France, Germany, and England, however, did take some measures to honor their fallen. 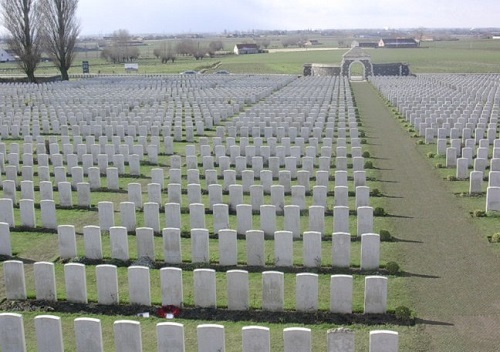 The French utilized individual graves and on occasion “collective ossuaries” as they did at Verdun. Since the Germans fought the war largely on the soil of other European nations, they could not take any sort of individualized or grand approach. Instead, they built “inconspicuous cemeteries [and] often excavated enormous mass graves.” One such example at Vladslo in Belgium consists of a slab that marks that remains of over 20,000 German soldiers. 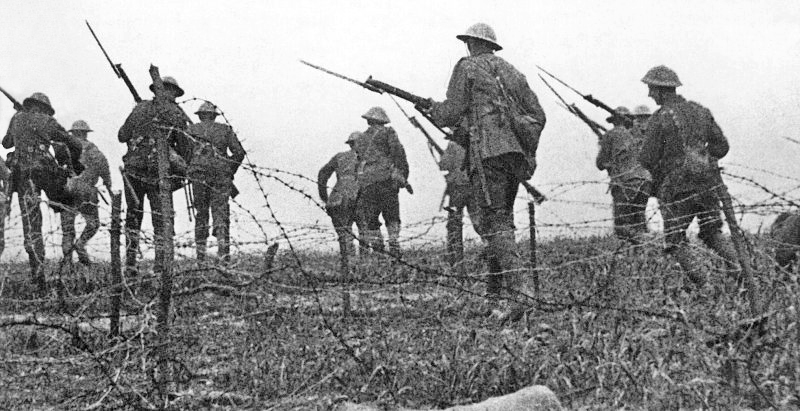 In a few years, WWI’s centennial will end and in all likelihood it will recede into memory. World War II’s atrocities and even larger scale has overshadowed it for sometime anyway; once the anniversary passes so too will the public’s already slight attention to it. While it’s been said before, it bears remembering that WWI set the tragic tone of the first half of Europe’s twentieth century. “All that was worst in the century which the First World War had opened, the deliberate starvation of peasant enemies of the people by provinces, the extermination of racial outcasts, the persecution of ideology’s intellectual and cultural hate objects, the massacre of ethnic minorities, the extinction of small national sovereignties, the destruction of parliaments, and the elevation of commissars, gauleiters, and warlords to power over voiceless millions, had its origins in the chaos left behind,” writes Keegan. Perhaps, we will never see total war again, left instead with the smaller conflicts of Vietnam, Iraq, and Afghanistan. However, those wars left millions of dead Vietnamese, Afghans, and Iraqis and scarred the superpowers that engaged them. Death by a thousand paper cuts—guerilla warfare and terrorism the frightening but small bore method of warfare today—might seem more ignoble than defeat by the “Great Powers” of the world, but one bleeds out all the same. Tropes about American exceptionalism look to be pure canard when one looks back at WWI; all nations decline, all empires fall. How this happens just depends on context, and the 99th anniversary of the Somme reminds us that context changes, but the ends do not. David Mitchell, Cloud Atlas, (New York: Random House, 2004), 440. David Mitchell, Cloud Atlas, 441. John Keegan, The First World War, (London: Hutchinson, 1998), 321. Keegan, The First World War, 321. Keegan, The First World War, 336-338. Stephen Kern, The Culture of Time and Space, Cambridge, (Mass: Harvard UP, 2003). Keegan, The First World War, 338-339. Stephen Kern, The Culture of Time and Space, Cambridge, (Mass: Harvard UP, 2003), 309. Kern, The Culture of Time and Space, 311. Keegan, The First World War, 338. Keegan, The First World War, 342. Keegan, The First World War, 339. Keegan, The First World War, 341. Keegan, The First World War, 346-347. Michael Howard, War in European History, (New York: Oxford University Press, 1976), 97-98. Keegan, The First World War, 279. Howard, War in European History, 104. Howard, War in European History, 117. Keegan, The First World War, 427. Kern, The Culture of Time and Space. Keegan, The First World War, 451. Exceptional analysis of both The Somme and World War I. Well done. Hey thanks for checking it out. I’d say that it really wasn’t me; Keegan, Kern, and Howard did most of the analysis. I just synthesized it. Thanks for checking ToM out!